The following is an excerpt from Bob Tewksbury’s new book, “Ninety Percent Mental: An All-Star Player Turned Mental Skills Coach Reveals the Hidden Game of Baseball.” In this great new book, Tewks, a former Major League pitcher and mental skills coach for two of baseball’s legendary franchises (the Boston Red Sox and San Francisco Giants), Bob takes fans inside the psychology of baseball. Click here to learn more about the new book. The mental game is extremely important for baseball players, and below, Tewks shares a great story of how MLB pitcher Jon Lester has used mental training to his benefit. Make no mistake; thoughts become things. If a pitcher thinks, “don’t walk this guy” or “that pitch was a strike” and allows that thought to occupy his mind, the thought will lead to that reality. As a result, your focus will be not on the execution of the next pitch but on the emotion from the distracting thought. This takes focus away from the task at hand and any pitch thrown without trust, confidence and conviction will not lead to a positive result. That is where my book begins, and it is where my book will end. A concept so simple a newborn grasps it as soon as he greets the world. An act that eventually becomes so difficult an old man on his deathbed can no longer accomplish it. In between, breath sustains life. And if you can master the art of controlling it, it can reduce blood pressure, improve sleep, maintain health, sharpen focus, improve job performance and, yes, in so many of our lives, cause stress to melt clear away like March ice on Opening Day. Breathe. It is where we were midsummer in 2013, and Jon Lester had had it. Around him, the Oakland Coliseum, a rapidly deteriorating ballpark that he detested, had never looked so untamable. Behind him, the first half of an inconsistently choppy season continued to clutter his mind. Ahead of him, the second half of a season that refused to produce answers appeared just as ominous. At this point in its cracked-concrete life, the Coliseum was becoming notorious for sewage backups. Seriously. The major leagues? A plumbing system that may as well have been constructed during the California Gold Rush periodically caused toilets to back up, water to leak into both clubhouses and dugouts, and a resulting stench that could singe the hairs in your nostrils. Breathe? Hold that thought. The Oakland Coliseum maybe isn’t the best place in the major leagues to preach this concept. Yet there I was, in my role as a mental skills coach for the Boston Red Sox, late afternoon, sitting in the dugout anyway. The periodic sewage, the stench, the antiquated clubhouses, none of that, by the way, is why Jon Lester disliked the place. What so many outside the game don’t always understand is that every single road trip is foreign. Every field has a different look, a different view, a different background. Comfort breeds confidence, and nothing this side of health is more vital to a professional athlete than confidence. Always, it seemed, for whatever reason, Lester was uncomfortable on the mound in the Oakland Coliseum. Every time he started a game there, the whole place just looked different. “I don’t know what it is,” he says. “There are stadiums you get to and it never looks good. You always feel isolated. Detroit’s one of those for me. You get on that mound and nothing looks right. It just doesn’t fit you, for whatever reason. Toronto was the complete opposite. I love Toronto. I thought their mound was one of the best mounds in baseball. The way the backdrop is, it makes you feel like home plate is right there. On this day, there was a lot on Lester’s mind, and too much of it was diminishing returns. At 8-5 with a 4.60 ERA, 2013 in so many ways was a continuation of 2012, statistically the worst of his career: 9-14 with a career-worst 4.82 ERA. For the man who worked five and two-thirds incredibly impressive shutout innings as a rookie in Game 4 of the 2007 World Series at Colorado’s hitter-friendly Coors Field, this was foreign land, uncharted territory, a rock and a hard place he never would have imagined. Too many negatives were living rent free inside his head. At twenty-nine and with the All-Star break waiting on the other side of the weekend, Lester was set to make his final start of the first half on Saturday night. At this point, he was certain of only one thing. What he was not going to do was step into the break without exhausting his search for solutions. As David Ortiz, Dustin Pedroia, Jacoby Ellsbury and the rest of the Red Sox swung away in batting practice on this Friday afternoon, Lester looked into the dugout and spotted a potential life vest. He and I had first met in 2002, when Lester was eighteen, shortly after the Red Sox scooped him up in the second round of the draft. As part of my work with the Red Sox, I made it a point to meet as many minor-leaguers as I could as they entered Boston’s system. Just as the ball is held together with those red stitches, so, too, are the relationships in this game. They can never be tight enough. Preparation never was a weakness for Lester. Few worked as hard as he did. But there was one area I felt could help improve his performance. I told him how I used mental imagery throughout my career. You’ve heard the expression “mental imagery”? The body doesn’t know the difference between a real or an imagined event and, therefore, the body will go where the mind takes it. During the tough times, mental imagery exercises I had developed helped me battle the fear of failure and insecurity that, always, are an athlete’s toughest opponent. During the good times, the mental imagery reinforced the foundation upon which I operated. The short answer was that, no, Lester had never tried imagery before any of his starts. He had flirted with the idea of it just once, long ago, and he didn’t like it for a very interesting reason. Lester was never much of a reader because his admittedly short attention span just won’t allow it, but he nevertheless devoured the legendary Harvey Dorfman’s The Mental ABC’s of Pitching: A Handbook for Performance Enhancement when he was in high school. He read it in three days, matter of fact. It was during his senior year, and he had decided to not play basketball that winter in order to focus on baseball, and he read the book about a week before his first start. Looking for a way to focus amid the swirl of professional scouts and college recruiters who were creating chaos in his life at the time, Lester inhaled the book and immediately went out and threw a no-hitter in that first start, punching out nineteen hitters. He came within one out of a perfect game. And that is why, more than a decade later, he still shied away from imagery. Because, as he told me, he just knew he could not replicate the success of that no-hitter with nineteen strikeouts. “It just so happened that it was one of those days that just kind of fell in line with what I was doing and I was like, ‘I can’t get back to that place. If I try to do imagery again, it won’t replicate the outcome,’” Jon says. I shared my personal experiences of having used imagery for most of my career, and how powerful a mental tool it had been for me. He seemed intrigued. I asked if he would be willing to try a guided imagery exercise with me to give him a feel for what I was talking about. It was the right moment. At this point, Lester was open to anything that might help him. We walked up the long tunnel leading from the dugout back into the visitors’ clubhouse and disappeared into a small office. He sank into a leather couch. He slouched down, getting comfortable, his head leaned back against the top of the couch. In full Red Sox uniform, he tugged his baseball cap forward, tilted to shield his eyes from the room’s harsh fluorescent light. “Okay, now that you are comfortable, I want you to close your eyes and focus on your breathing,” I told him. We repeated that sequence three times. As we did, I noticed Jon gradually sink deeper into the couch. His jaw loosened. His mouth opened slightly. His leg twitched. I paused, surprised he had become so relaxed so quickly. “You are now relaxed and ready for your imagery practice,” I said. I led him through game situations. Through facing two batters while pitching from the windup. One batter while pitching from the stretch. I worked to create pictures in his mind, each associated with a particular pitch. Fastballs down and away for called strikes. Changeups cloaked in the illusion of fastballs, creating swings and misses. Slow curveballs floating in for strikes, the hitters helplessly watching them go by. Deadly cutters that made those hitters look foolish. I went through each batter he would see in Oakland’s lineup the next night. I detailed various situations he might face and how he would successfully respond to them. Someone commits an error, this is how you react to it. This imagery exercise went on for about eight minutes, and then I instructed Jon to open his eyes and reorient himself to the room. When he nudged his cap up off of his face, he looked like he had been sleeping. Wow, I thought. He really got into this. “What did you think?” I asked. He said he liked it but that at times my dialogue went a little too fast. Because of that, at times, he said, he struggled to fully create images in his mind. This was good feedback for next time. Most important, there would be a next time. He was buying in. We agreed to implement this brief imagery practice into his pregame routine the next night. The best time, we decided, would be after his pitcher’s meeting, around five o’clock. Before each start, the starting pitcher, catcher and pitching coach meet to go over that night’s opposing lineup and implement a game plan. Right after that, Lester would go to the trainer’s room, lie on the table, cover his eyes and re-create, as best he could, what we had just done. On the field that Saturday night, Lester felt more comfortable than he had all season. He threw a called third strike by Coco Crisp to start the bottom of a 1-2-3 first inning. Induced a ground-ball double play in the second from Nate Freiman and wound up stranding two Athletics and holding them off the scoreboard. Derek Norris touched him for a solo homer in the fifth, and then Oakland scratched two more runs off of him in the sixth. But on this night, the internal results following his session the night before became the most important element. We talked again the next day about implementing imagery and visualization permanently into his pregame routine. We decided that I would record a guided imagery program for him to use prior to his starts during the season’s second half. We discussed the content and timing of the script that day, and I made the recording during the All-Star break. We have all heard of the term “confidence” and I am sure we can all agree that it is of vital importance to a baseball player’s progress and development. Although gaining and developing confidence to some may seem like an easy task, similar to a switch you can simply flip on and off, for some ballplayers, confidence is the single greatest flaw in their game and what ultimately prevents them from maximizing their potential. Having struggled mightily with confidence over the years, I want to take this brief moment and share with you a couple thoughts that I have found useful that I believe you will be able to implement and benefit from right away. First and foremost, I believe the most important element within all of this, is having the ability to be comfortable within your own skin as a human being. Before anyone steps on the baseball field, it is absolutely crucial that they love themselves as a human being and whole heartedly accept their reflection in the mirror regardless of how their box score reads after the game. If this proves to be difficult, it will undoubtedly be more challenging to remain confident during times of struggle on the field. Baseball is arguably one of the most difficult sports and the success rate will be minimal compared to the amount of failure you will endure as a ballplayer. For many years I would base my self worth off of the amount of hits I recorded, the number of runners I threw out or the MPH reading that would flash on the radar gun. This is not a healthy, ideal, or practical way to live life and it is not sustainable over time. You have to be able to compartmentalize between life as a ballplayer and life as a human being. When you truly come to grips with the notion (it’s hard, trust me) that I am a worthy human being, regardless of my performance on the field, a huge weight will be lifted off your shoulders, allowing you to play free, loose, and relaxed. Soon thereafter, baseball will become much more enjoyable. As a ballplayer, we must come to grips with the notion that regardless if we go 5 for 5 or 0 for 5 at the plate, our family and true friends will still love us unconditionally and their opinion of us will not waver based on our athletic development or achievements. A parent will love you for the individual you are, not the batting average you maintain. A true friend will want to spend time with you because they enjoy your company, not because you hit the game winning home run. Your significant other will love you because of how you make them feel, not your average fastball velocity. As a ballplayer and especially as a young child, it is crucial to always remember that those who truly love you will always love you, regardless of how the scoreboard reads. This is by no stretch an easy concept to grasp and it is a difficult lesson to learn. The day after my first shoulder surgery, I had 35 missed calls, 43 text messages and 8 voicemails. The day after my fifth shoulder surgery, I had 4 missed calls, 6 text messages and zero voicemails. That experience allowed me the opportunity to see who truly loved me and who just loved the idea of me. One of the most detrimental acts any ballplayer can partake in is directly comparing themselves to those who surround them. This is a recipe for disaster on a variety of levels. Day in and day out, the goal of any ballplayer should be to win the battle against themselves and focus solely on that reflection in the mirror. We all understand that baseball is a team game, but if you begin comparing yourself to others around you, you will stunt and even derail your potential growth as a ballplayer. It is irrelevant if Billy hit a home run today or Nick made the game winning catch. All that matters is, did I, myself, improve today and am I better today than I was yesterday. The greatest achievers in any industry have an internal drive, allowing self-improvement to be their exclusive focus and concern. In addition to holding themselves to the highest standards, they judge their performance solely against preceding versions of themselves, not against teammates or competitors. Each and every one of us develop, mature and progress at our own pace and on our own timetable. None of us are genetically equivalent, so what is the sense in comparing ourselves to others based on factors that are out of our control? Many often forget that this game, similar to life, is a marathon, not a race. This is not football, basketball or hockey – it’s baseball. And of the four “major” sports in the United States, baseball is by far the most mentally challenging and demanding. Demanding, because there is so much dead time compared to other sports. Dead time gives baseball players lots of time to think, and thinking is often at the root of tension, pressure and anxiety. Challenging, because baseball players spend most of their time on physical preparation and little or no time on the one area that is going to impact their career the most. Yes, the mental game is being talked about a lot more these days, but talking isn’t good enough. It’s time to cut to the chase. Doing something about it is where the rubber hit’s the road. Practice plans have been passed down for generations, and they of course have plenty of merit. But at what point (and what cost) are we going to continue to center our practice plans around physical preparation when we know that between the lines, the game is at least 90 percent mental? Hitting, throwing and running bases are all indispensable, as is bunt defense, pitchers fielding practice and first and third run downs. But this is the 21st century – times have changed. People in all walks of life are looking deeper for answers. Major corporations are putting a ton of money into creating a (mentally) healthier work environment by putting time aside for “self improvement.” Among other things, motivational speakers and yoga instructors are being brought in to help people relax and be more effective. When it comes to big business, they understand the bottom line, performance. Sacrificing some time out of an employees busy work schedule for “mental health” is viewed as a necessity. Yet, somehow this hasn’t seemed to translate into the baseball community. Not that some teams (The University of San Diego has incorporated relaxation exercises prior to every practice) and individual players haven’t made the adjustment, but quite frankly, it’s a drop in the bucket. The good news is that society is changing for the better. More than any other generation in the past 50 years, this generation is privy to the reality that Mental Training is not only a credible field, but it’s application to sports and life is a essential. Which begs the question — what are you doing to act on this reality? Until coaches start recognizing that Mental Practice is also an indispensable part of their daily practice plan, players are going to be deprived of developing the single most important asset in their career (their life), which is their mind. The goal of this article is not to suggest that coaches have to go back to school to get their Master’s Degree in Sport Psychology. It is to give coaches a deeper understanding into why players perform a certain way, and more specifically, what can be done on a daily basis to support the players both from a strategic (terminology) point of view, as well as a practical point of view. Done as a precursor to practice each day, each coach will be given enough information to lead his players through a 10 minute, mental training exercise or session that revolves around breath work. Ultimately, whether we call “mental practice” relaxation, meditation or mental focusing time, the application of these exercises on a daily basis will have the greatest and most profound effect on your players minds. For without practice how can you expect any skill to be developed and maximized. Having a great mental game is as much about understanding where we want to be, as where we don’t want to be. When things are going well it seems like the mental game is simple. And when things aren’t going so well the game can be very frustrating and complex. Understanding “how” we go in and out of these states of mind is extremely valuable. A detachment from the outcome. By understanding the components of a peak state of mind, we can better understand ways to train the mind in order to put it in alignment with this ideal state. To better understand how to access this peak state, we have to first ask a very important question – what is the current state our mind is in? To do this, we need to look further into those factors that are responsible for the infrastructure of how we think. The most logical place to start with is the environment we’re raised in. If you were raised in the United States chances are that you were exposed to a culture that breeds a state of mind that in many ways is the antithesis of the components of a peak state of mind. What I mean by this is that most people have been “programmed” by a society that places a great deal of emphasis on thinking and a preoccupation with the consequences or results of their actions. This preoccupation with thinking as opposed to reacting, and attachment rather than detachment from the outcome have become part of our psychology, and on a physical level, our neural pathways. Attachment to the outcome is what is referred to as consequential, or “result oriented thinking.” Due to the nature of society most people are exposed to a great deal of this programming at an early age, including how we are “graded” in school, and how we are judged by our peers. Couple that with the culture of sports, where we are constantly measured by our statistics, our wins, losses and teammates, and you can see why it would make sense that our minds are conditioned to think about the results of our actions, rather than the action itself. More so, these behaviors are more likely to be prevalent in game situations, where a greater premium is placed on performance. Though a peak state of mind tells us that we would like to stay in the present and be detached from the outcome, the mind tends to default to it’s old programming, because this is what it knows – this is what it’s familiar with. Thus, you can see how vital a mental practice would for the typical player who’s default system is trending him away from a peak state of mind. This is where the role of mental practice becomes vital. Though good advice and mental strategies can be very effective toward changing the mind for the better, mental practice is at the root of “unearthing” old programming, and replacing it with new programming. Ultimately, we want the mind to be well practiced at being clear, relaxed and process oriented…we want the mind to default to a “peak” state…a state devoid (or at least minimized) of consequential or result oriented thinking. This is perhaps the most critical concept to understand about making a change in your mental game for the better. For without understanding this “default system”, players may continue to put thousands of hours of hard work into physical practice and not understand why it’s not translating into game situations; why being “immersed in the present moment and detached from the outcome” is the exception, rather than the rule. Understanding why the mind tends to default into consequential thinking when our sole objective is to be in a non-thinking and process oriented state, is crucial. One question I can hear being asked is, “Why is mental practice necessary if we could just tell our minds not to think about results or consequences, and just think about the “process?” Well, that would be a good start, but the mind has years of old programming, and to change the default takes a consistent and committed practice. Ultimately, it is the practice that leads to the change of old ways of thinking, old behaviors and new neural pathways. Mental Practice is a very broad field that includes breathing exercises, imagery, visualization, affirmations, and so on. You can also get forms of mental practice from among other things, Yoga, Martial Arts and being in Nature. Anything that brings the mind into a state of “presence”, a state of peace and quiet can be categorized as mental practice. But the most common element that I’ve found in mental practice revolves around the breath. There are many reasons why the breath is at the center of mental training exercises universally, including several physiological benefits (relaxation, lower blood pressure, oxygenation), but some of the other profound benefits may be more subtle. For example, the breath is always happening now, which symbolically, can be extremely helpful in teaching the mind how to be present. The breath is not a thought, thus, the more time you spend with your breath, the more time you are training your mind how to be in a “no-thought” state. Again, the absence of thought and being present are two major characteristics of a Peak State of mind. Thus, the breath alone can be a catalyst in changing the mind from a result oriented default, to a process oriented default. Other benefits that can often be associated with breath work include calmness of mind, improved concentration, focus, patience, discipline and inner trust. Inner trust, which is similar to the term confidence, is a by product of spending time in a relaxing and comfortable space each day, and getting to know your self and your inner workings. Considering that your breath keeps you alive 24 hours a day, it’s safe to say that a lot can be gained simply by spending time, appreciating and understanding our breath. Control your breath. Learn how to take deep breaths, in your your nose, out through your mouth. Let your belly expand, not your neck. Try this during your practice sessions and see how you fell. Over the next couple of months, I’ll be writing more on the mental game of baseball. Subscribe to the EBP newsletter to be sure you see the upcoming articles. Want to Learn More About the Mental Game of Baseball? I have a book overviewing my approach that I think you’ll enjoy. It’s called “Getting Focused, Staying Focused: A Far Eastern Approach to Sports and Life.” In this book, I teach you everything you need to learn about enhancing your mental approach to baseball. 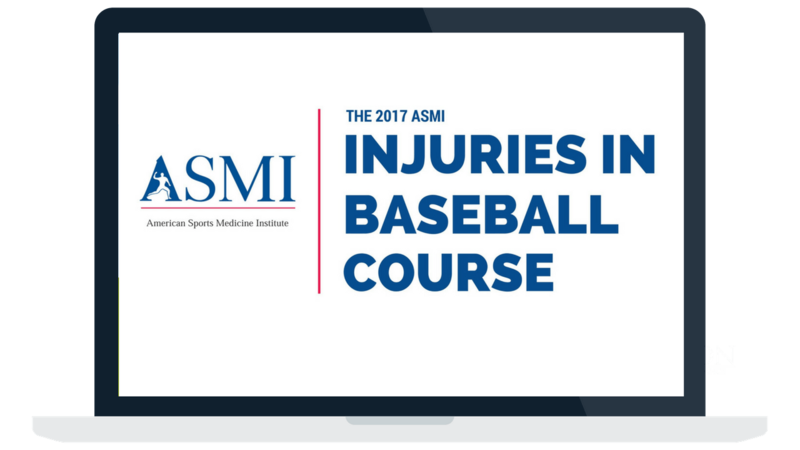 Get instant online access from EBP for only $17, or purchase my entire bundle including my arm care and year round throwing programs. The act of mental visualization is one of the most underutilized tools in the field of performance psychology. Not utilizing visualization and the mental pregame on a daily basis, is basically short changing your success on and off the field! Before I go on to explain the 3 Keys of of a Mental Pregame are and how it can benefit you, I need to let you in on a little secret…. Any single solitary person can apply and develop this skill. It can be used by athletes, business people, or even those that are looking to better prepare for their day in general. I will explain to you in my own knowledge how you can utilize these three key concepts to improve your game. First, you will have to read this article to understand the idea of how to go about the pregame. When you’re finished and understand the concepts, close your eyes and give it a go! You’re on the mound staring 60 feet 6 inches down at your catcher’s mitt, you feel the cool breeze against your jersey as the crowd and teammates quiet down. You receive the sign and prepare the pitch, wind up and you deliver the pitch to the glove as the batter swings and misses! STRIKEEEEEEE!!!! I want you to visualize this in your own mind with as much detail as possible. Don’t worry if you get distracted or are unable to really focus as detailed as you may have wanted. Each time you use the mental pregame try to incorporate more and more detail each time. For example: the weather forecast for the day, what the field looks like, the opponents team jersey, the green grass beneath you on the mound. The mental video you play needs to capture the emotional experience you want to have. Through visualization you have the ability to create an alternative reality and reality involves emotions and feelings. The goal is to feel and experience confidence in your mental pregame, visualize how you will perform and how you want to feel when you get there on game day. You may already be asking yourself, “why the heck am I doing this.” But if you got up to this point there’s a reason why you kept reading on, because you want an edge and you want to improve your game for yourself (that’s the real first step). When you visualize the actual situation, you will be in during any point in time, and how you will feel during it, you are preparing yourself mentally and emotionally for what is to come. When this happens the frontal cortex of your brain has basically “seen the future” before you actually did with your eyes. Your brain is now subconsciously ‘priming’ itself to better handle your emotions and confidence level. When you are more prepared for a situation, you improve your ability to react positively during game time. Structured practice is all well and good- anyone can go on the mound and throw 50 pitches without any repercussions for miss pitches or hits. But if you’re a good player, basic practice is often little more than exercise. You want to simulate game conditions, put yourself in that mental frame of mind like when you are competing. Having this extra piece added to your practice can help you exponentially over time when added to your repertoire. Watch your mental pregame in real speed – the speed you want your performance to be. The key is to visualize the most important & specific moments of the game you may encounter, not in generalities. For pitchers, it may be making that first strike to start the count, making that strikeout on a 3-2 count when the pressure is all on them or maybe pitching to the toughest player on the team. Feel and see the speed of the game, the speed of the pitch, the speed of the swing. This will aid in making your mental picture more realistic. It can improve your confidence because in your ‘’mind’s eye’’ you have been here before. Taking that extra step in your practice, over time, when utilized the correct way can exponentially improve your mental focus and performance.